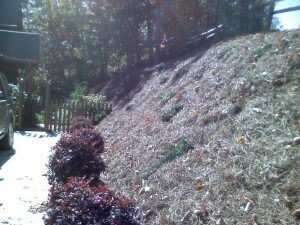 VistaScapes offers North Georgia Mountains Level 1A certified personnel on staff and ready to solve your Erosion Control Problems. Erosion – (1) The wearing away of the land surface by running water, wind, ice or other geological agents, including such processes as gravitational creep. (2) Detachment and movement of soil or rock fragments by water, wind, ice or gravity.In addition, there are at least 6 different types of water erosion. 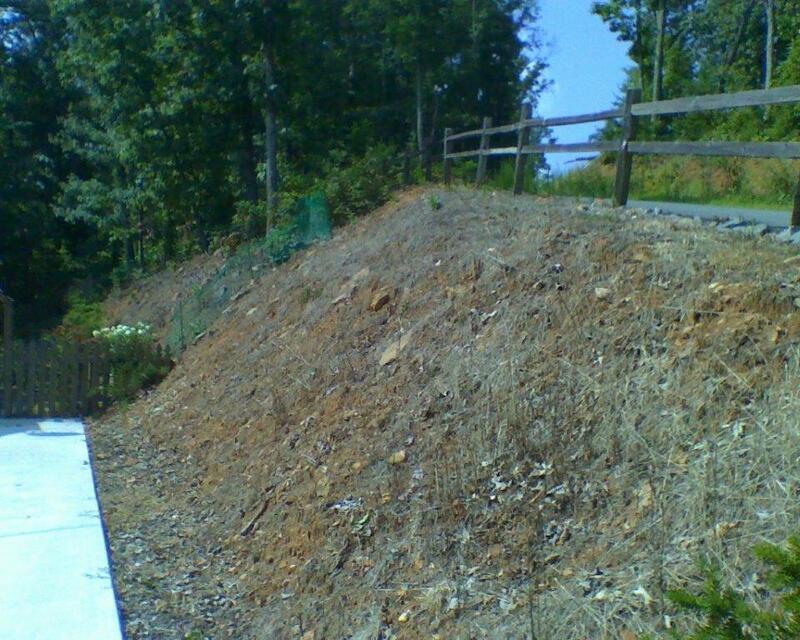 Erosion Control – To manage, restrain or limit someone or something. Now that we know the definition of erosion, why should you be concerned? Besides the fact that portions of your land may be sliding or washing away, if the sediment washes onto your neighbors land or into any type of waterway, a visit from a state of federal agency may be imminent! What happens then can take pages to describe. Vistascapes has Level 1A certified personnel at the ready! Vistascapes focuses on erosion prevention and control! Any time you disturb the soil (home building or addition, pool installation, land grading, etc.) you should have a plan for erosion control. We can provide on-site consultation, evaluation and/or installation of most any type of erosion control needed. No project is too big or small, we monitor any size project. Most forms of erosion we see are easily prevented or repaired. It may not be as bad as you think. The real key is prevention. Let us help you avoid a potentially expensive and litigious problem!